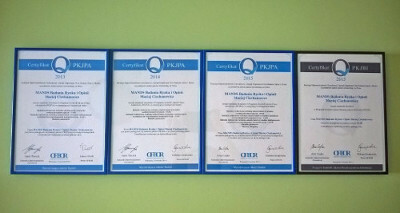 The observance by MANDS of quality standards in the process of research implementation is confirmed by OFBOR with PKJPA certificates (Interviewer Quality Work Program) in the field of PAPI, CAPI, CATI, CAWI, qualitative research and Mystery Shopping. It gives the customer a guarantee of high quality of the entire research process, it is also a testimony to care for every element of it. In addition, in 2015 the company obtained the PKJBI certificate (Information Security Quality Program). It is a certificate that makes sure that any sensitive information whose flow is an indispensable element of the research proces will not be obtained by unauthorized persons.